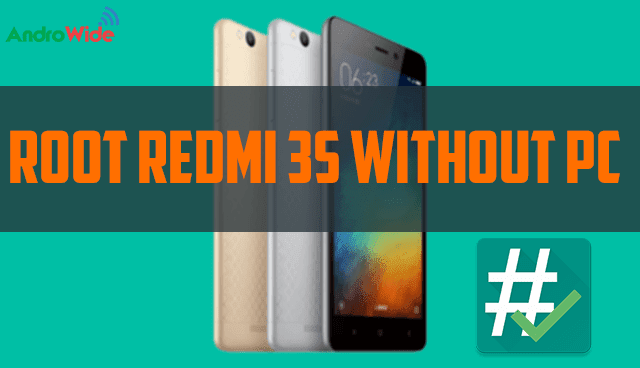 there is two variant of Redmi 3s in India, first is with 2GB RAM/16GB Storage and the second is 3GB RAM/32GB Storage, one down side is that they comes with hybrid sim slot so that you can use 2 sim at one time or 1 Sim card with Micro SD card, but this is not a big issue if you are going with 32GB GB Version. Now Let’s Move on to Rooting Redmi 3s, I want to tell you all that rooting is the process which opens the door of any android device in software segment, like you can anything on the software make any changes on the coding, you can flash any custom ROM on your device by rooting, but sometimes it not good because it opens the door then anyone can easily enters to that part of your phone, but don't fear there is less chances of that. First of all you will need to enable developers option on your xiaomi device and then enable USB debugging, if don't know how to enable developer’s option follow this link. Now just download the Root_Xiaomi_Redmi3.apk and install it on your device, it will show you a security message of unknown sources but just install it anyway. After installing just launch that app and press on Root, that's it, this will take around 1 to 2 minutes to finish this process. Now enjoy your Redmi 3S is rooted now. Please let me know if it works for you or not. Note: Rooting is a critical process, sometimes it could cause Bootloop for your device, the Root files is diffirent for almost all MIUI versions so please be careful before doing this. me or AndroWide is not responsible if anything goes wrong, try it at your own risk.